For more than 30 years, the Johns Hopkins ACG® System has been used across the world to support population health management, enhance care and reduce health care related costs. Its logic is based on the premise that clustering of morbidity is a better predictor of the use of health care services than the presence of specific diseases or prior levels of cost or activity. Reducing emergency care costs – three CCGs have now commissioned primary care-based, multi-morbidity clinics which have seen an associated 19% decrease in emergency admissions in the 18 months after the scheme started. More information about each of these aspects, case studies and the benefits being achieved can be found by clicking on the below buttons. It recognises and can use the main diagnostic and pharmacy code sets used within the NHS including ICD10, SNOMED CT and Read Codes. You could also email Alan Thompson, Director of User Support and UK Team Leader. Identify ways to improve the efficiency of the delivery of care. The ACG System’s primary objective is the improved health status of a population. In keeping with this mission, the Team supports ACG System users worldwide to ensure the correct installation, implementation and interpretation of the software and its output. The Team also assists users in the customization of the ACG System to local contexts. In the UK, the large and growing ACG System user community is currently supported by a subset of this team. Each member of the UK team has worked within the NHS as well as having been involved in relevant work at a national and international level. Mr. Thompson joined the ACG System Team in 2013. As Director of User Support, Alan’s primary responsibilities include supporting users, collaborators, and team members in maximizing the use of the ACG System. He also coordinates the UK Team in facilitating applications of the ACG System in the UK NHS. A registered nurse by background, Mr. Thompson has over 30 years’ experience in the UK National Health Service (NHS) in clinical, operational and project management posts within hospitals and primary care. He has a keen interest in the use of information to support managerial and clinical decision-making and to inform improvements in the provision of patient-centered services. Between 2010 and 2013, Mr. Thompson led a project to implement the ACG System across 600 GP Practices in the south of England. This role supported clinicians in optimizing the use of risk stratification information to inform clinical programs such as case management and integrated care teams. He also worked with Clinical Commissioning Groups (CCGs) to use risk stratification to support commissioning activities. As a firm believer in sharing experience and expertise across the NHS, he established both the Southern England and national UK ACG System User groups to facilitate conversations and shared learning among NHS users of the ACG System. Alan can be contacted at athompson@HopkinsACG.org. Dr. Barrett has been with the ACG System Team since 2009. He provides technical support to ACG System users within the NHS. He worked for 20 years in health care informatics and has a particular interest in OLAP and web-based analytical tools. He has medical qualifications and is interested in all aspects of the application of information technology in health care. He was a member of the SNOMED CT Technical Design team and has extensive experience working with the Read Code authoring project. Joining the NHS Information Authority in 1999, he worked on reporting tools to provide interactive access to HES data for NHS users. More recently he has worked for a number of years with PRIMIS+ analyzing data quality in primary care, and for the National Diabetes Audit at the NHS Information Centre analyzing the care given to patients with diabetes. Dr. Barrett received his MA from Cambridge University. Dr. Sutch has been working with the ACG System Team since 2007. He has over 20 years experience of working in the National Health Service (NHS) in Great Britain at local, regional and national levels. He has worked with data and data collections from various aspects of activity and financial returns. 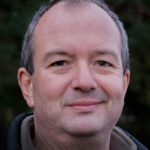 His lead role in the design of HRGv35, a tool currently used for hospital payments in NHS England– and its updated version HRGv4– led to the development of analytical methods on routinely collected NHS data as well as other clinical data collections. He has an extensive working and practical knowledge of the HES/NWCS/SUS data collections. He also worked on benchmarking systems for commissioning in Great Britain to develop a national system of tools, first in NHS Wales and later in England. As the Analytical and Statistical Services Manager of the NHS Information Authority National, Dr. Sutch oversaw the continued development of national benchmarking products, and supported the initial development of the program budget categories. He also sat on the committees responsible for the implementation of ICD-10 codes in England and Wales, and then led the development of HRGs that formed a major contribution to the redevelopment of the surgical classification (OPCS4.3, 4.4). Through the Kings Fund project, and subsequent projects with various PCTs, Dr. Sutch has gained expertise in the application of ACGs® to NHS ambulatory data. There are over 40 CCGs and 1000 GP Practices in the UK who now use the Johns Hopkins ACG System to improve the health of their populations. Until recently, the vast majority of the use of the ACG System has been to support case finding activities within GP Practices. Over the last 12-18 months the use continued to expand and now covers case finding activities by community teams and significantly, population profiling activities to support the commissioning work of CCGs. This page provides access to the growing number of case studies, articles and other written material that illustrates how NHS staff and organisations are using the ACG System to support individual patients and whole populations. Session 5: Information Governance and Risk Stratification – Making IG an Enabler Not a Barrier. Rescheduled- We will announce the new date shortly. What exactly is the ACG System? The ACG System is a decision support system originating from the Johns Hopkins Bloomberg School of Public Health. The core of the system is based on the use of diagnosis information, combined with other information such as activity and cost, to provide intelligence at both patient-level (e.g. predicting a patient’s risk of needing lots of health care in the future) and population-level (e.g. describing or comparing the disease burden within or between populations). So the ACG System is American? The ACG System was certainly born in the USA 30 years ago and has grown and developed significantly over that time. However, over the last 10 years it has been adopted and adapted for use in the UK in a number of ways. It recognises all of the diagnostic and pharmacy Read codes that we use in primary care and each quarter any new Read codes are mapped to the appropriate group within the ACG System. In 2012 a major exercise was undertaken to recalibrate the predictive models within the ACG System – a three way collaboration between Johns Hopkins, NHS South, Central and West Commissioning Support Unit and Sollis. A new predictive model was also developed to calculate an individual’s risk of emergency admission. A repeat of this recalibration exercise is being undertaken at the end of 2015. What are the benefits of using the ACG System? For specific examples and additional information, please review the available case studies, articles, podcast and more. Who is using the ACG System in the UK? There are over 40 CCGs and 1000 GP Practices in the UK who now use the Johns Hopkins ACG System covering a population of over 10 million. So it’s just the US and the UK who use the ACG System then? The ACG System is the most widely used population-based case mix system in the world. Since 2003, the ACG System team has seen its international reach expand from a single project in Canada to on-going use in several European, Asian, Middle Eastern, South American and African countries. In addition, numerous pilot and academic projects are underway across the globe. In summary, the ACG System is active on almost every continent. Further details of the use of the ACG System in the United Kingdom can be obtained from Alan Thompson, Senior Consultant and UK Team Leader at athompson@HopkinsACG.org. 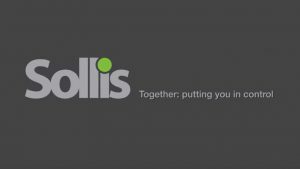 Sollis has been delivering business intelligence and health care analytics solutions to the UK National Health Service (NHS) since 1994. We have a long and established relationship with the Johns Hopkins University where we have successfully integrated the ACG® System into our health care business intelligence software – Clarity Patients. We believe that our collaboration with the world renowned Johns Hopkins University has resulted in one of the most advanced clinically based commissioning decision support systems available to the UK health care system. Sollis Clarity Patients is the largest implementation of the Johns Hopkins ACG System in the UK. It currently supports 30 Clinical Commissioning Groups (CCGs) and over 900 GP Practices. In 2013, Sollis collaborated with the ACG System Team and NHS South, Central and West Commissioning Support Unit to recalibrate the predictive models in Version 10i of the ACG System to better reflect the NHS context. This enables the ACG System to more accurately capture the morbidity patterns within the NHS as well as the factors that contribute to increased risk within the local population. NHS South, Central and West Commissioning Support Unit and Sollis agreed to make this enhancement available free of charge to other non-Sollis NHS implementations. We continue to further develop Clarity Patients while integrating the ACG System to support service transformation and outcomes based commissioning for the UK NHS. Clarity is a key component of any population health management strategy and can help accountable care organisations transition from volume-based to value-based health care. Download our white paper here.